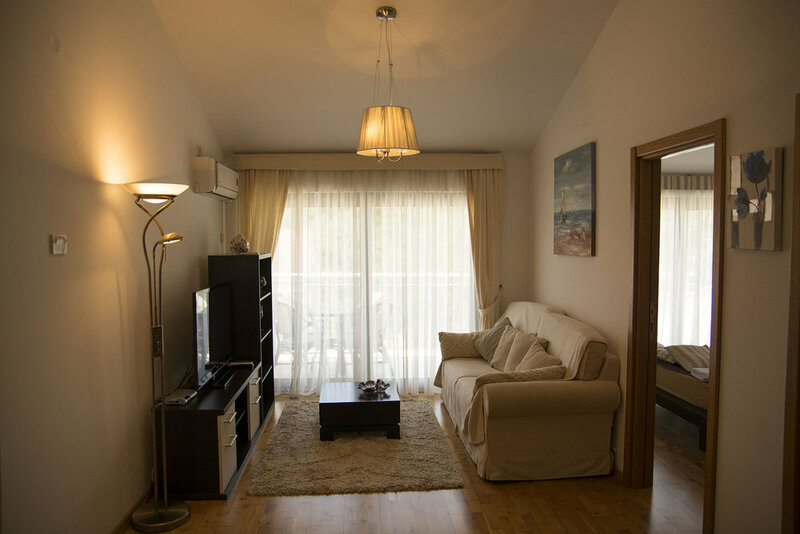 Apartment is situated in gated resort in Przno, Montenegro. 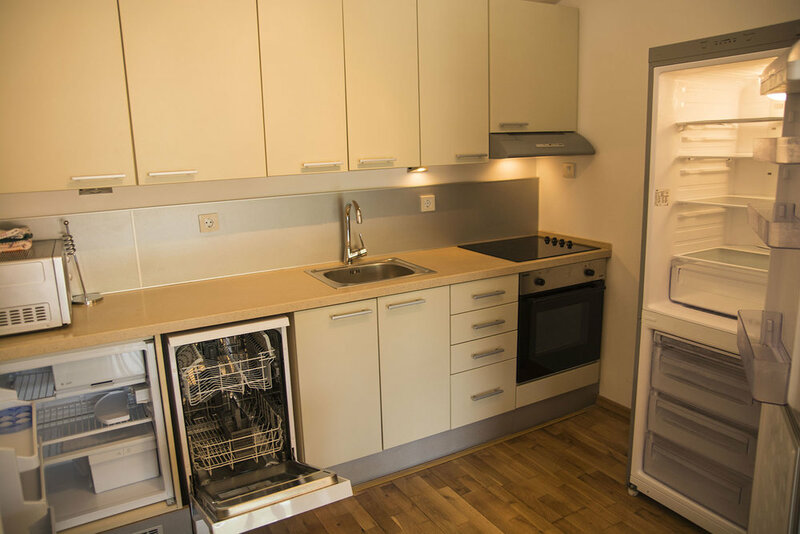 Apartment has two bedrooms, one bathroom with floor heating, fully equipped kitchen, living room and big terrace with two tends. Resort have community swimming pool and underground garage with your parking place. This property has an area of 63 sqm.